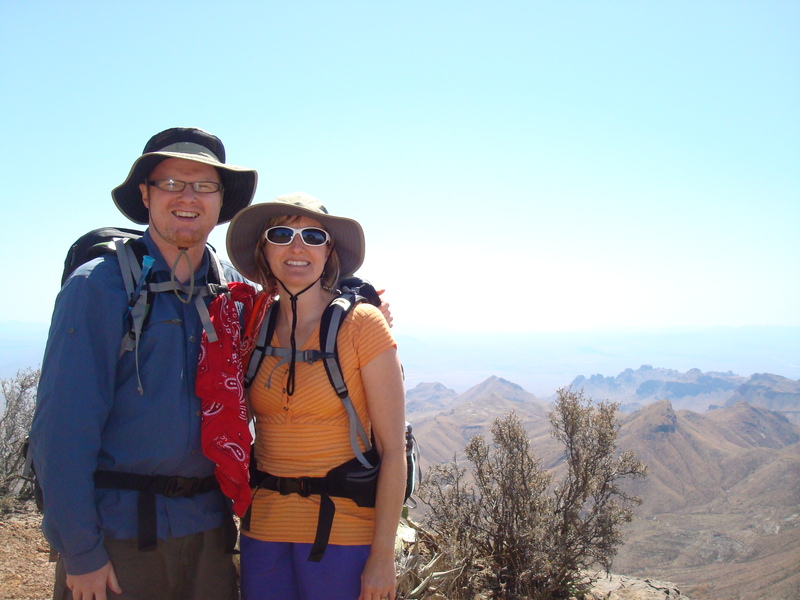 Last week at this time our family was slowly trekking up the Chisos Mountains in Big Bend National Park to spend the next two nights camping in the backcountry. 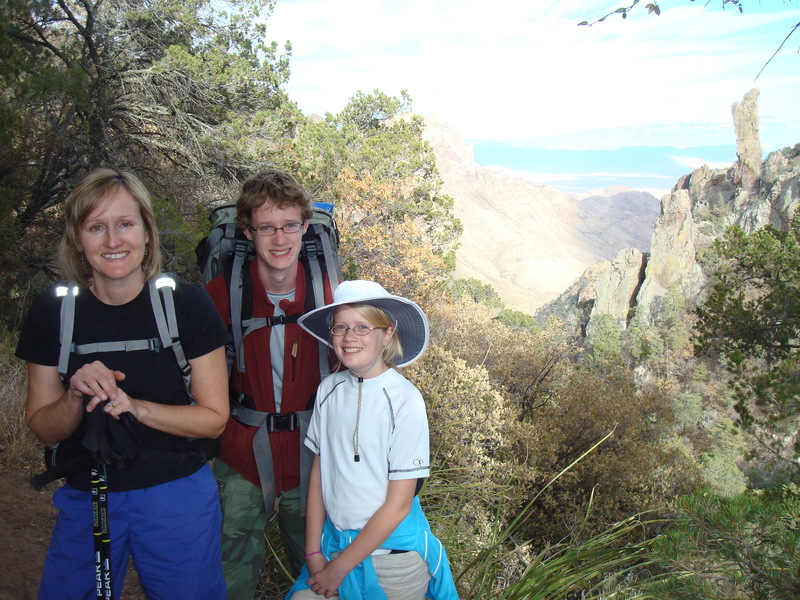 This was the first time all four of the Brummelers went backpacking. If my first backpacking experience last summer could be compared to a Hyatt Regency in terms of amenities, this trip was more like a roadside park. Let me tell you, it was hard work, and backpacking in Big Bend is not for the faint of heart. First of all, there is no water in the backcountry. All water must be carried in and the park recommends a gallon a day for each person. Compost toilets are as fancy as it gets in the backcountry too. Also, the elevation change is significant. We spent the first night car camping in the Chisos Basin campground which is already at about 5400ft. On Tuesday we headed up the mountain adding close to another 2000ft in elevation. Switchbacks and rocky terrain abounded. In spite of the challenges, the trip was rewarding on many levels. First of all, there is just no way to truly see the countryside unless you walk it. The variety of trees and vegetation was surprising (aspens, douglas firs–read more here). And we couldn’t get over how the views of the mountains changed as we hiked. Also, there are places in the park that can only be accessed by hiking to them. I also enjoyed meeting the variety of people who were also enjoying the park. I met hikers from South Carolina, Kentucky, Indiana, Texas, and Austria to name just a few. Hikers generally love to stop and chat and ask where you are headed and where you are from. Maybe it has something to do with the fact that nobody in the backcountry is on a tight schedule. Finally, there is the sense of accomplishment each time you finish a hike or when you actually return to civilization. I still feel like I am pinching myself this week to remind myself that I really did do all that hiking. As a family, we experienced our share of frustrating moments, but we also shared some really good times where we laughed and enjoyed being together. I am extremely proud of my children as each of them carried full packs and maintained good attitudes throughout the week. Both Brad and I realize that we are in a precious time of parenting where we can do a lot as family together. Jacob actually carried more weight than I did. Anna loved the fact that other hikers routinely commented on how big her pack was (even though she wasn’t carrying that much weight!). Her pack covered her entire back. She looked like quite the stud! Finally, I was reminded of the beauty of God’s creation. Despite the fact that Big Bend is in the middle of nowhere (it took us nine hours to drive there from Waco! 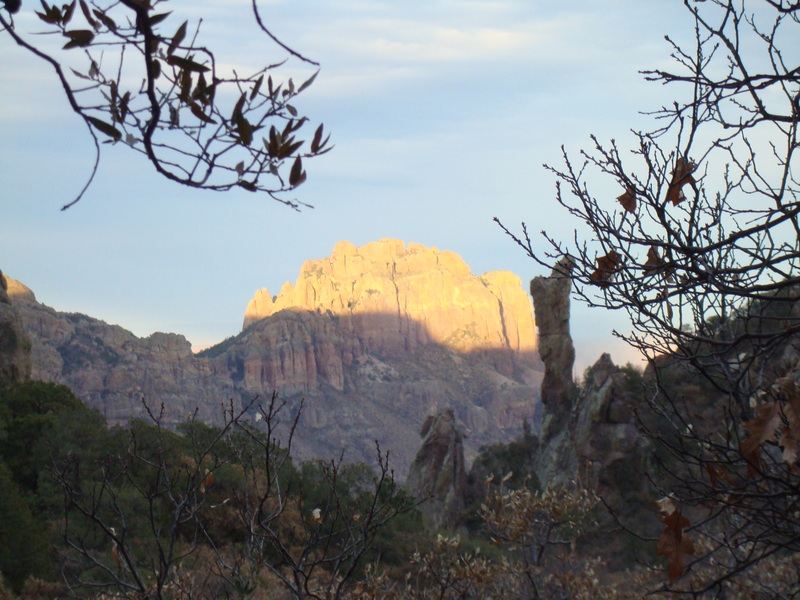 ), this beautiful park is filled with mountains, incredibly high vistas, amazing sunrises and sunsets, along with black bears and mountain lions. (Thankfully, I didn’t see either.) I would be remiss if I didn’t mention how nice our last night in the park was. We stayed in the lodge, and even though the lodge was older and a bit out-dated, I took one of the best showers of my life and enjoyed a great sleep. As much as I love being in creation, I love my creature comforts too!